Select a date you want your flipbook to be published on. 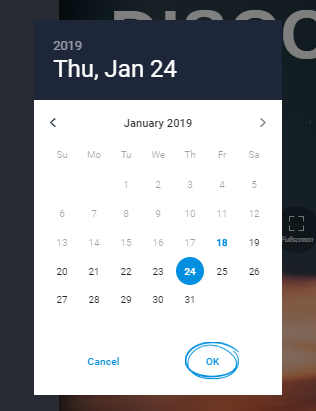 Now you can schedule publications for a later date in Flipsnack. This feature is available for our Professional, Business and Enterprise users. The functionality is very straightforward. After you log in, go the new editor and upload your magazine. Click on Publish in the top right and then click on Schedule publish date. 3. Select your preferred publishing date from the calendar widget. Click OK.